curl -o network.conf http://$IPADDR/$CONFDIR/network.conf &>/dev/null && echo -e "[SUCC]: resourcefile download ok! " mkdir soft && cd soft curl -o $HADOOPFILE http://$IPADDR/$SOFTDIR/$HADOOPFILE &>/dev/null && echo -e "[SUCC]: hadoop download ok! " curl -o $JDKFILE http://$IPADDR/$SOFTDIR/$JDKFILE &>/dev/null && echo -e "[SUCC]: jdk download ok! " cd ../ curl -o hadoop_centos.sh http://$IPADDR/$CONFDIR/hadoop_centos.sh &>/dev/null && echo -e "[SUCC]: hadoop_centos.sh download ok! " bash hadoop_centos.sh &>/dev/null && echo -e "[SUCC]: run hadoop_centos.sh ok! " curl -o $HADOOPFILE http://$IPADDR/$SOFTDIR/$HADOOPFILE &>/dev/null && echo -e "[SUCC]: hadoop download ok! " curl -o $JDKFILE http://$IPADDR/$SOFTDIR/$JDKFILE &>/dev/null && echo -e "[SUCC]: jdk download ok! " curl -o hadoop_centos.sh http://$IPADDR/$CONFDIR/hadoop_centos.sh &>/dev/null && echo -e "[SUCC]: hadoop_centos.sh download ok! " bash hadoop_centos.sh &>/dev/null && echo -e "[SUCC]: run hadoop_centos.sh ok! " 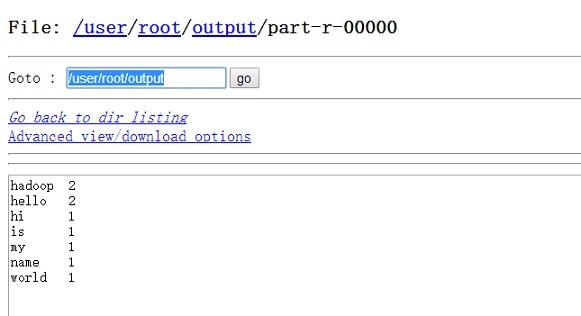 curl -o xinetd-2.3.14-39.el6_4.x86_64.rpm http://$IPADDR/$SOFTDIR/package/xinetd-2.3.14-39.el6_4.x86_64.rpm &>/dev/null && echo -e "[SUCC]: xinetd down ok! " curl -o rsync-3.0.6-9.el6_4.1.x86_64.rpm http://$IPADDR/$SOFTDIR/package/rsync-3.0.6-9.el6_4.1.x86_64.rpm &>/dev/null && echo -e "[SUCC]: rsync down ok! " rpm -ivh xinetd-2.3.14-39.el6_4.x86_64.rpm &>/dev/null && echo -e "[SUCC]: xinetd install ok! " rpm -ivh rsync-3.0.6-9.el6_4.1.x86_64.rpm &>/dev/null && echo -e "[SUCC]: rsync install ok! " firewall(可选) 这个选项对应安装程序里的「防火墙配置」屏幕: firewall --enabled|--disabled [--trust=] <device> [--port=] --enabled或者--enable,拒绝不是答复输出请求如DNS答复或DHCP请求的进入连接.如果需要使用在这个机器上运行的服务,可以选择允许指定的服务穿过防火墙. --disabled或--disable,不要配置任何iptables规则. --trust=,在此列出设备,如eth0,这允许所有经由这个设备的数据包通过防火墙.如果需要列出多个设备,使用--trust eth0 --trust eth1.不要使用以逗号分隔的格式,如--trust eth0, eth1. <incoming>,使用以下服务中的一个或多个来替换,从而允许指定的服务穿过防火墙. --ssh --telnet --smtp --http --ftp --port=,可以用端口:协议(port:protocal)格式指定允许通过防火墙的端口. 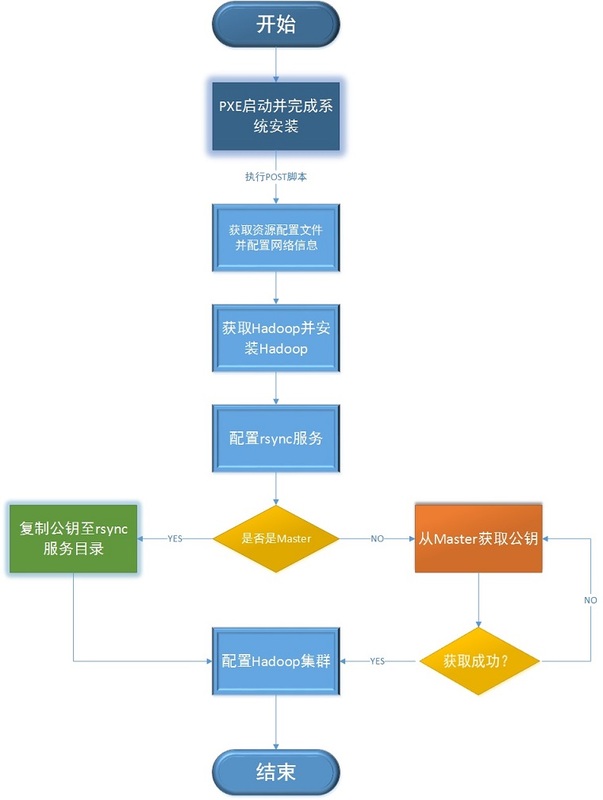 例如,如果想允许IMAP通过的防火墙,可以指定imap:tcp.还可以具体指定端口号码,要允许UDP分组在端口1234通过防火墙,输入1234:udp.要指定多个端口,用逗号将它们隔开. 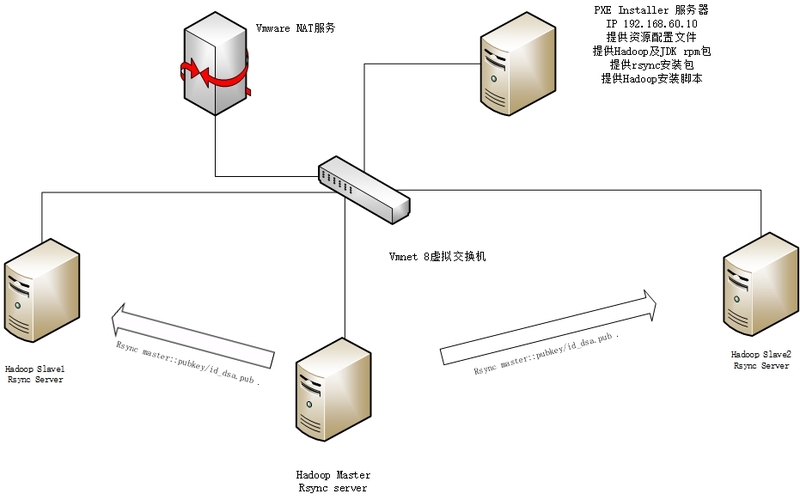 This entry was posted in 云计算与大数据 and tagged Hadoop, Kickstart, 脚本, 自动安装 by annhe. Bookmark the permalink.